As you prepare to purchase your next home, you may be searching through online listings and driving through neighborhoods. The next natural step for many people who are serious about purchasing a new home is to hire a real estate agent. However, some people are uncertain about what an experienced real estate agent can bring to the transaction. With a closer look, you will see why hiring a real estate agent is a smart move. In order to be a real estate agent, a professional must take several courses, pass a licensing exam and prove competence in other areas. A real estate agent has a contractual obligation to represent your interests in the transaction. These are a few of the many reasons to hire a real estate agent for assistance with your new home purchase. A real estate transaction is a legal matter as well as a financial one. There are numerous contracts that must be negotiated and signed, laws that must be followed by both sides, and more. A real estate agent understands relevant laws and this knowledge will help you in multiple ways throughout the transaction. Finding the right home to purchase can be a lengthy, tedious process. When you hire a real estate agent, a trained professional will help you find the right home for you and your family to live in for years. Many factors must be considered such as the neighborhood or community, the quality of schools, the tax rate, and more. Real estate agents may have access to listings that are not available yet to the public. There are many factors that come into play when trying to find the best fit for your family. Every real estate market is unique and there could be vast differences between the place you are moving from and the place you are moving to. A real estate agent has substantial local market knowledge, so if you are moving to a different city or state it is especially important to hire a real estate agent for your home purchase. Your real estate agent is your representative throughout the transaction. One of the primary roles that your real estate agent serves is to communicate with the seller’s side. Most often, this will be communication with the seller’s agent, and it may also involve negotiations. Your agent understands how to communicate effectively so that the transaction proceeds in a timely manner. It is the agent’s job to remain calm and unemotional during negotiations, which can be more challenging for the homebuyer to do. When you hire a real estate agent, you can enjoy these benefits during your home purchase experience. You’ll likely find a better home more easily and enjoy a less stressful process from start to finish. Keep in mind that your experience with a specific real estate agent may vary from that of another agent. Therefore, focus on finding a real estate agent who you have a great rapport with and who has exceptional training and experience. 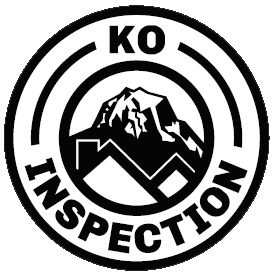 KO Inspection provides home inspection services to home buyers in Greater Seattle and Western Washington. Contact us to schedule an appointment.